Famous churches are usually enormous and impressive… Hordes of tourists can be found around them. Not the Little Blue Church of Bratislava. First of all, as its name says, it’s little. Also, few people know about it. Slovakia’s capital, Bratislava is not among the most visited European cities, anyway. 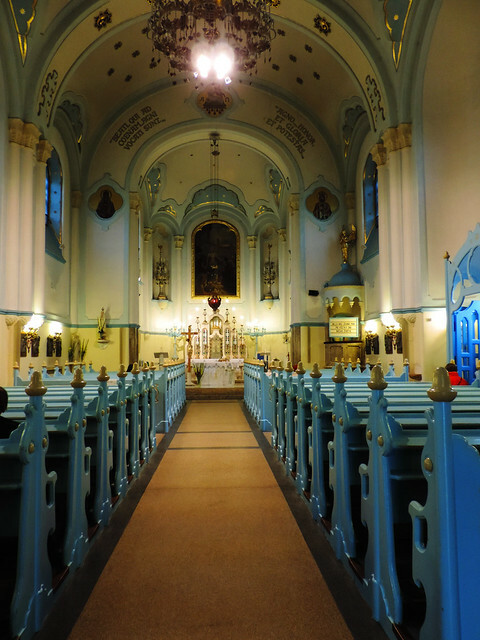 And Little Blue Church is not even located in the heart of the city. But it’s something worth searching for. 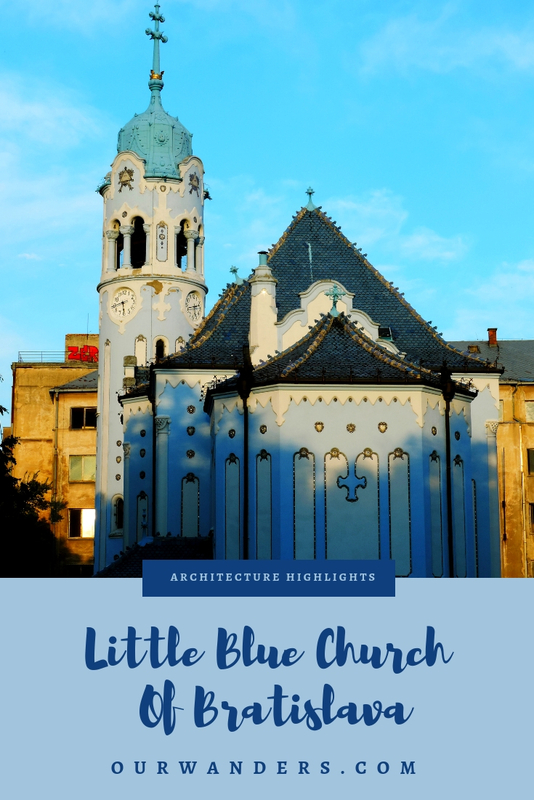 Why has Little Blue Church impressed us? Still it’s the church that impressed us the most in Bratislava. It’s cute. A church that rather looks like a dollhouse. Does that count as a praise? It is. It also reminded us of Gaudí’s buildings in Barcelona. That’s a praise for sure! 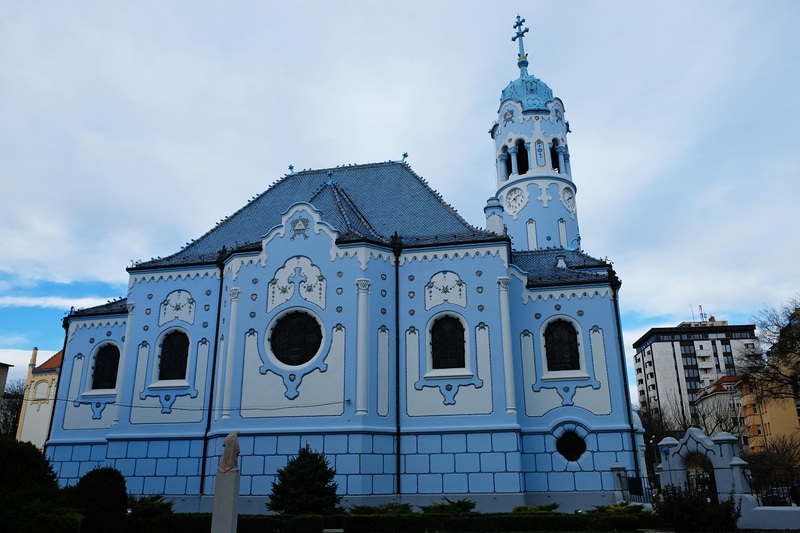 Its proper name is the Church of St. Elisabeth, and it was built in 1907-1908. 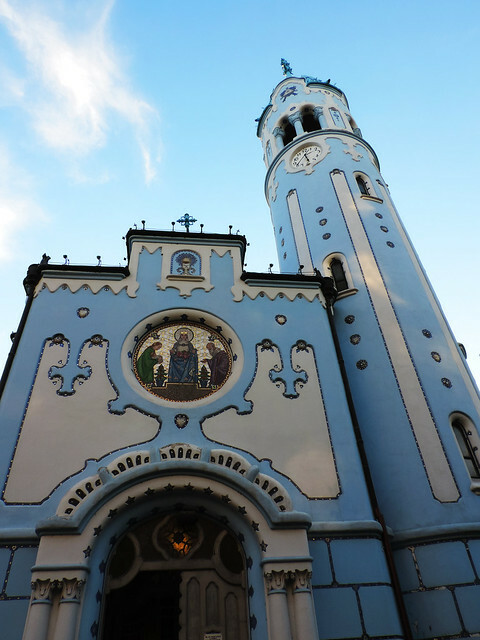 It’s often referred as Little Blue Church because of the light blue color of its facade, mosaics, majolicas and roof. 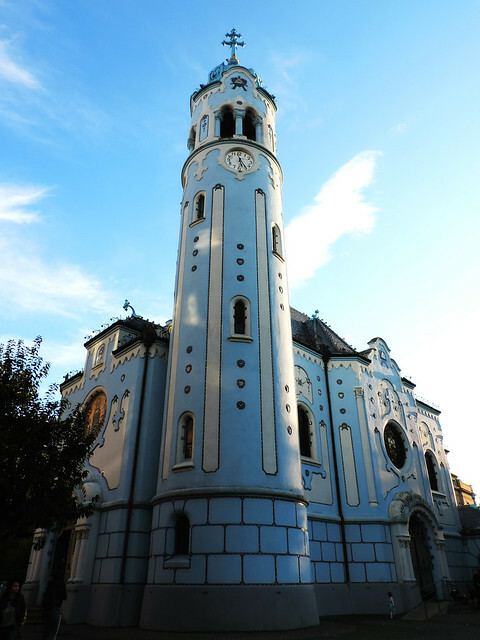 It was built after the plans of Ödön Lechner, a Hungarian architect who was one of the early representatives of the Hungarian Secession movement (Hungary’s Art Nouveau). Some of his most famous works are the Budapest Museum of Applied Arts, the Geological Museum of Budapest, Szeged City Hall or Kecskemét City Hall. Do you like Art Nouveau? 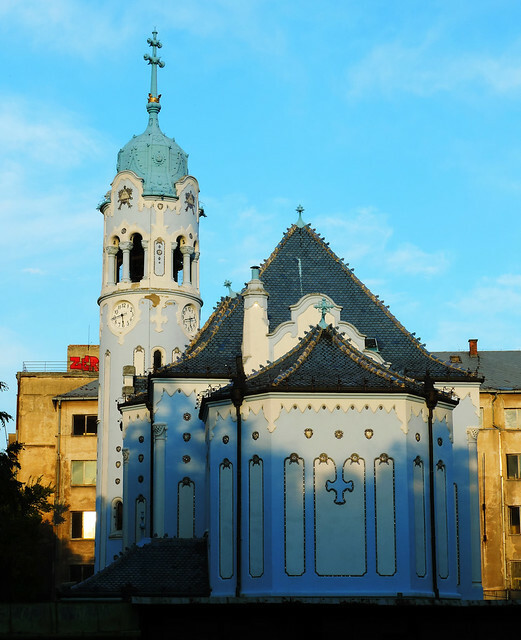 Where have you seen the most special Art Nouveau buildings?